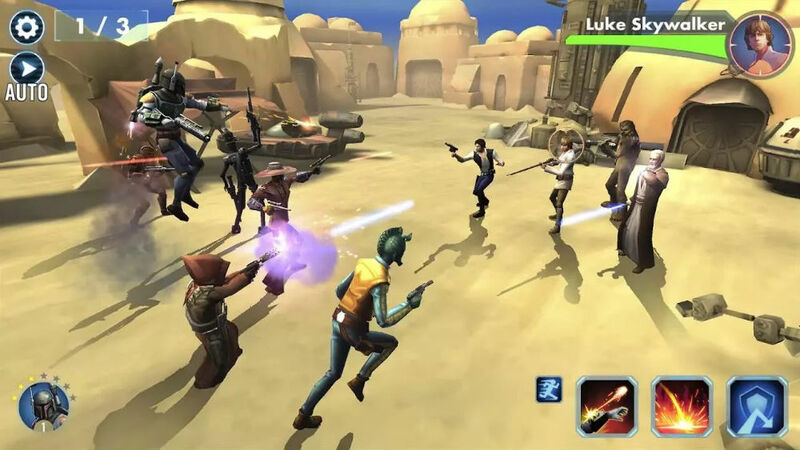 An update for Star Wars: Galaxy of Heroes is now available on Google Play, incorporating a Heroes Pack based on the upcoming Star Wars story, Rogue One. In the update, players will find free access to the Rogue One Heroes Pack, which includes K-2SO. For those not in the know, K-2SO is the new droid that will be featured in the Rogue One movie. You’ll also find a few more characters for your battling needs. The update also details other “exclusive” content access, but doesn’t go into further detail. Also, semi-related, has anyone watched Film Theorists’ video about the possible ties between Rogue One and Episode 8? Boy, oh boy. Check out the update by following the link below.